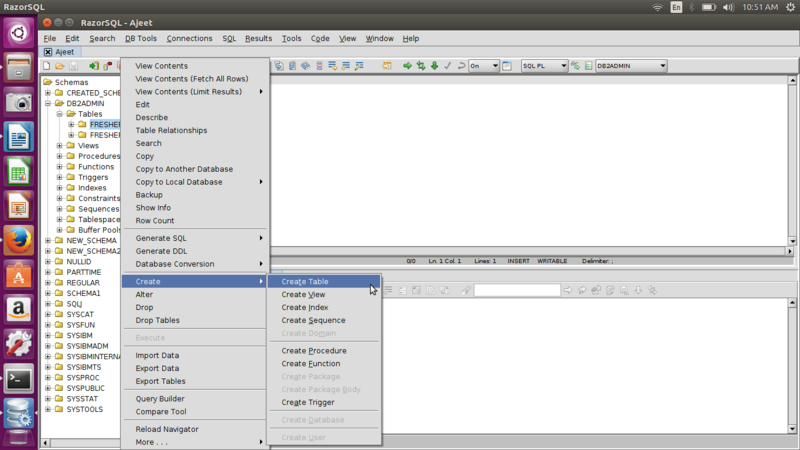 The CREATE option facilitates you to create many things in DB2 database i.e. create table, create view, create index, create sequence, create procedure, create function, create trigger etc. Specify the table name and column name. 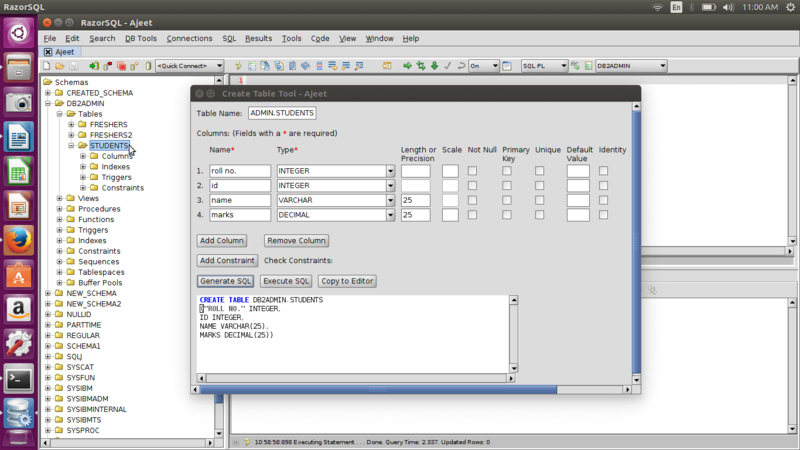 Now enter the column names and generate SQL. 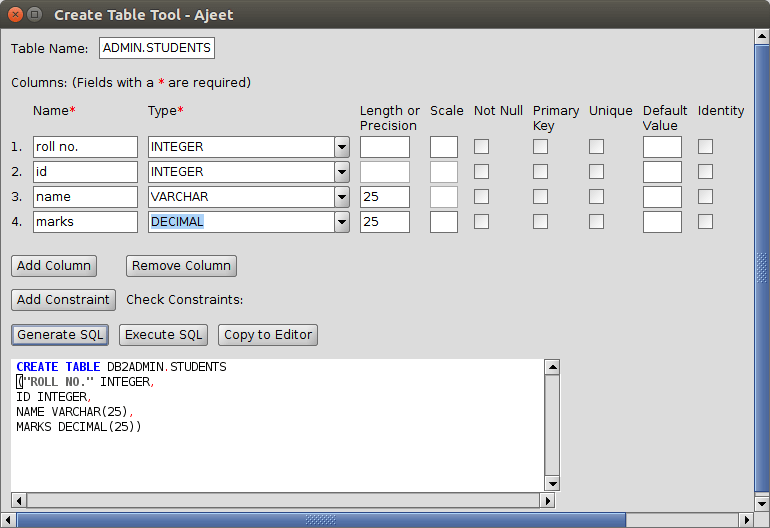 Now click on execute SQL and it will create a table named "Students". You will see a pop-up message for successful creation of the table. You can see the newly created table "Students" in the below image.